The model and actress died of cardiac arrest last week. The somber prospect of facing a future without Kim Porter’s inner and outer beauty has impacted the entire hip-hop community, but no one is more devastated by her absence than her children. 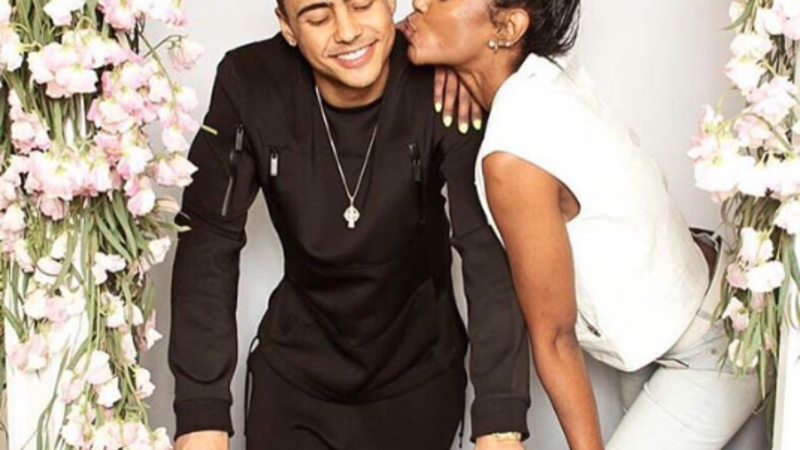 Her eldest child, actor and singer, Quincy Brown, revealed Sunday on Instagram that he was “broken” over the sudden loss of his mother. It was his first public statement since Porter’s shocking death from cardiac arrest last Thursday. “I am broken…[and] the only thing that makes sense right now is that you were way too good for this silly world we live in,” Brown, Porter’s child with R&B singer Al B. Sure!, wrote in a caption for a picture he posted of himself with his mother and his younger twin sisters, D’Lila Star and Jessie James. “I love you so much MOMMY. Please give Mee-Maw the biggest hug and kiss for me,” he continued, seemingly referencing his grandmother. Brown’s brother Justin Combs, son of Diddy and Misa Hylton Brim, also shared on Sunday his disbelief at how quickly his “second mother” was snatched away from their family]. “This can’t be real I keep waking up hoping this is all a bad dream. I just don’t understand. The other day we were all together dancing & celebrating,” he wrote in a caption for a family photo where he is holding his Porter closely. “Thank you for loving & accepting me as one of your own I will forever cherish all the special moments and talks we had together please stay close with us and let us hear your voice to guide us,“ he concluded. Our prayers are with the Porter and Combs families.